I am a massive eyeliner fan and I wear at least one type of eyeliner everytime I wear eye makeup as my lashes are so short, I need liner for definition along my lashline and I’m always open to trying new types of liner. I’ve seen so much about the Lottie London brand but I can’t believe I’ve never tried anything until now, but I just didn’t know what to try first. I spotted the Lottie London Stamp Liner Wing Edition £5.95 on the Superdrug website when ordering some Revolution Pro products, and knew I needed to try it but I couldn’t find any reviews online so I had no idea if it was any good prior to buying it. The Lottie London Stamp Liner – Wing Stamp and Eyeliner Duo is unique as it has two separate types of liner. 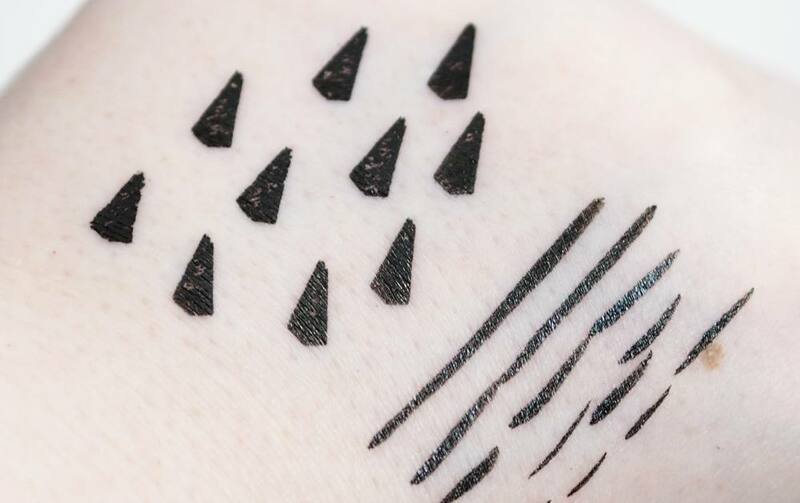 On one side you have the typical felt tip nib type of liner, and the opposite end there’s a winged eyeliner stamp designed to make winged eyeliner easy. 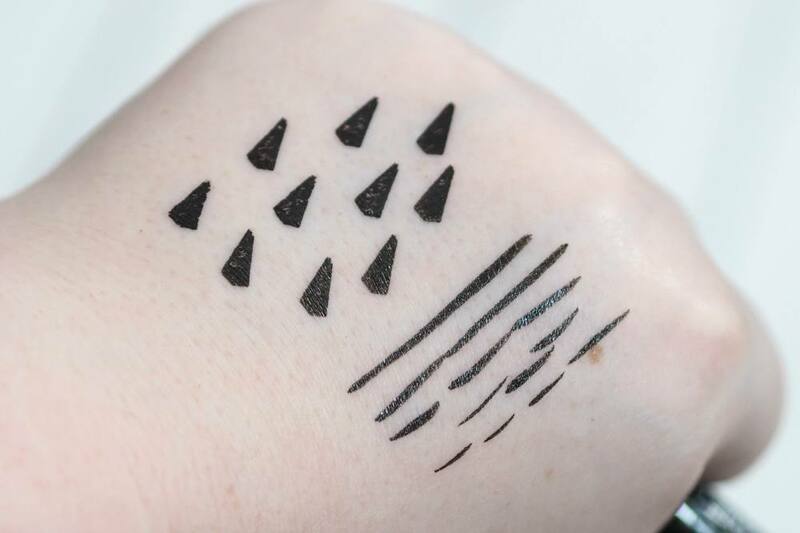 I feel relatively confident when it comes to doing winged liner but I’ve never seen an eyeliner stamp before and I wanted to see how it would work and if it would actually make it quicker and easier to do winged liner. I think the concept is pretty cool and I like that for £6 you’re getting a good quality eyeliner pen as well as the stamp, as some brands like Rimmel and Maybelline charge £6 for a one-sided eyeliner pen. I’ve included two separate photos of the swatches to show the finish of the two liners including a closeup as I couldn’t find any swatches online so I hope it’s helpful to see them. 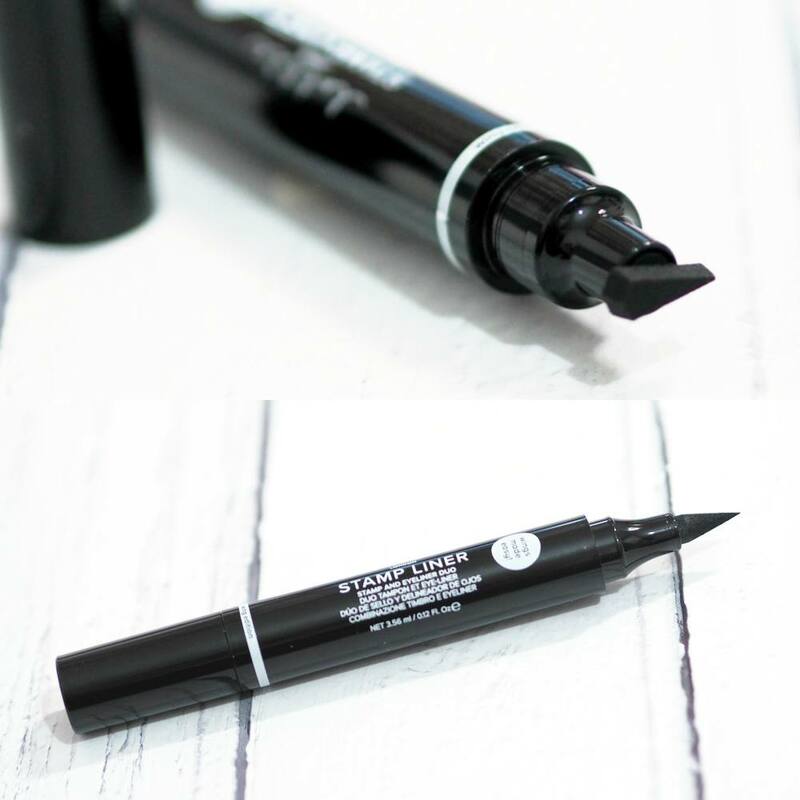 Starting with the felt tip eyeliner, the nib is brilliant in that it’s firm enough to give you a good amount of control whilst lining your eyes but it has some flexibility so you can control how thick your liner is. It’s fully opaque but it has a glossy finish when dry as shown above, which I don’t love as I like my liner to be completely matte. I could use a matte black shadow on an angled liner brush to mattify the liner but that’s way too much effort for everyday but I would love Lottie London to have a matte version of their liners. The winged liner end of the eyeliner isn’t great unfortunately which is such a shame as the concept of a stamp for your eyeliner wing is amazing. Firstly the winged shape hasn’t been cut very precisely and the ‘tip’ of the wing is non-existent which I really hope my swatches show but it’s uneven and rough at the end. The biggest issue I’ve found is that the winged stamp doesn’t stamp a fully opaque wing, as there’s patches of skin left with no liner applied to them. Yes I can go in and colour them individually but to me that negates the whole point of using the stamp as it’s quicker and easier for me to just draw my winged liner myself rather than stamp, fill in the gaps and then create a point on the end of the wing. 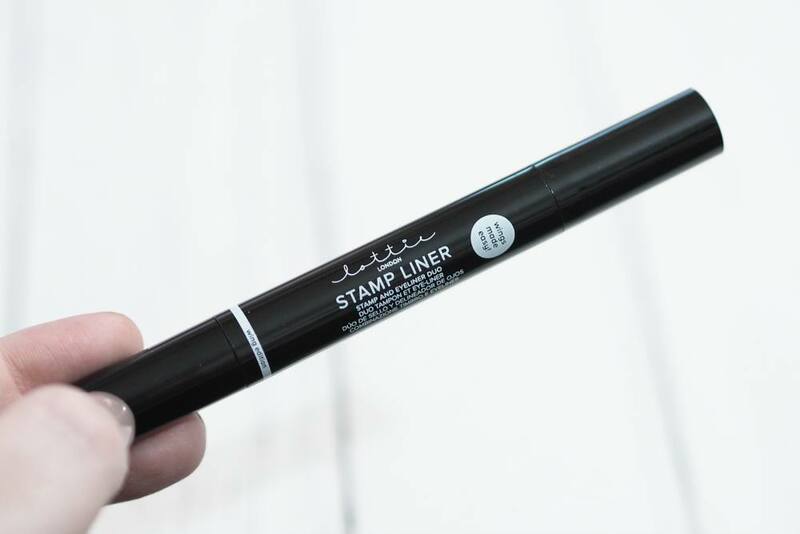 It’s quite possible my liner tube is a one off and there was an issue in manufacture so if you were tempted in purchasing the Lottie London Stamp Liner, I would seriously recommend swatching it instore prior to buying it to make sure the shape is right and there are no bare patches with the stamp. I’m not massively disappointed as I can still use the felt tip liner end for creating super sharp wings, but I do wish the winged liner stamp was better but it definitely hasn’t put me off trying more from Lottie London in the future. I would love to know your thoughts on the Lottie London Stamp Liner Winged Edition?